Remember that delicious pistachio dukkah we sprinkled on watermelon for our Fourth of July menu? Well, here’s another use for it! It really is one of our favorite garnishes and works beautifully with peaches and burrata. If you’re having trouble finding peaches at your local farmers market or grocery store, you can substitute another seasonal stone fruit – We’ve used plums in this salad before and it was equally delicious! Heat a grill pan over medium heat. 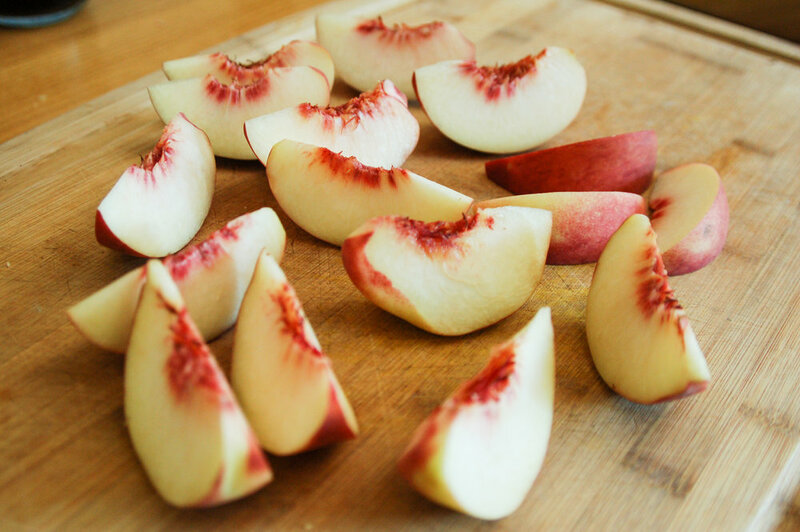 Brush the peach wedges lightly with olive oil and place in the hot pan, cut-side down. Let sizzle for 5-6 minutes or until you get some nice brown grill marks. Carefully flip the peaches and brown the other side, another 5-6 minutes. 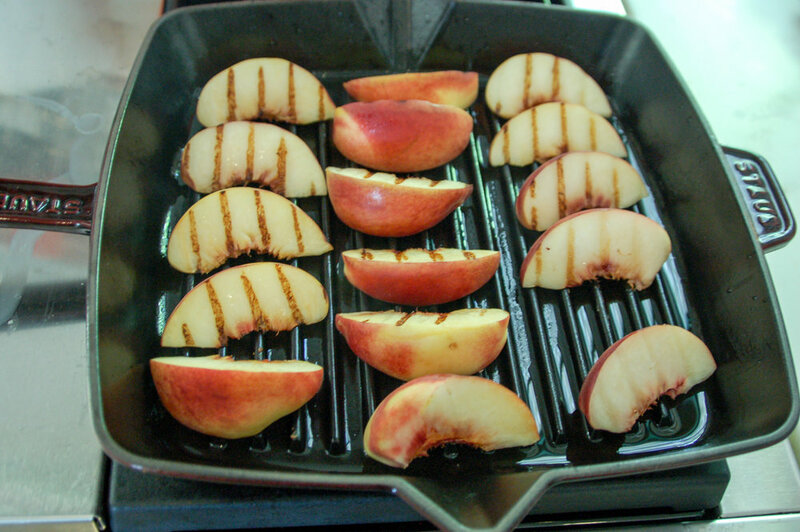 Remove peaches from grill pan and place on a plate to cool. Whisk together the yuzu, lemon and pomegranate molasses. While whisking, drizzle in the olive oil until emulsified. Season with salt and pepper. Toss mint leaves and leafy greens with a little dressing and spread on a platter. Arrange the grilled peaches on top and then sprinkle pieces of burrata around the peaches. Finally, drizzle the salad with a little more dressing and sprinkle dukkah evenly on top. Serve immediately with extra dressing and dukkah if desired.